Embark on an exotic journey into the renowned painter's world of colour. Set sail for a voyage around the world! Paul Gauguin drops out and focuses only on his passion, painting! He travels from Brittany to the Marquesas Islands and onto Tahiti...He disembarks on brightly coloured islands. Dive into blue lagoons; tropical forests and the legends of the Maori people...Go down to the beach and meet the beautiful wahines and the mysterious horseback riders. It's your turn now to create an explorer's diary, just like the artist's. 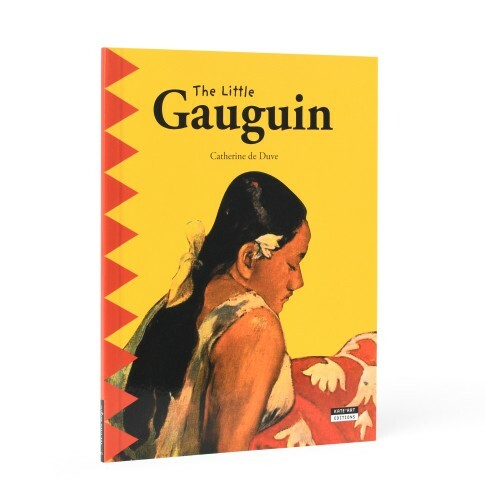 Page after page, discover and colour in Gauguin's life and work. Children's book, paperback, 32 pages. Page after page, discover and colour in Gauguin?s life and work.